Foods are the best medicine. “You are what you eat” and that is so true. Food has been used in healing remedies since the beginning of time and the results are truly amazing. 1.) 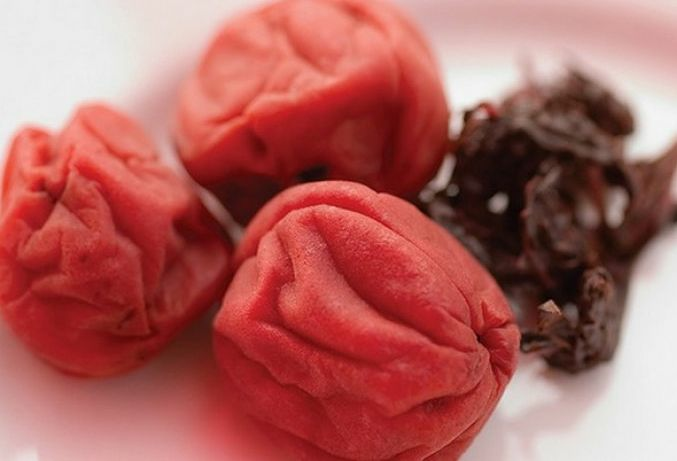 Umeboshi Plums: available from Chinese grocery stores. A very sour little dried plum that helps increase stomach acids, alkalise the body and help settle morning sickness. Excellent for poor digestion and/or weight loss. Chop and add to salads etc. (Pictured). 2.) Fiber (found naturally in fruits and veg): Increases stool bulk, slows digestion and protects the intestines. Excellent for weight loss, LDL (bad cholesterol) absorption and offers protective care against bowel cancer. 3.) Miso: Fermented soy product normally made into a miso soup. Gentle on the stomach, alkalizing and contains friendly bacteria. Excellent for days when your stomach is feeling a little upset, helps to recolonize the bowel after use of antibiotics. 4.) Psyllium Husk: When used as directed it helps increase stool bulk and relieve constipation or diarrhea. Natural way to lower cholesterol. 5.) Tempeh: Vegan fermented tofu product. Excellent source of B12 for vegans, easy to digest, stimulates digestion and contains friendly bacteria. Excellent for vegans and poor digestion. 6.) Apple Cider Vinegar: Stimulates digestion and also believed to help weight loss. Make sure you buy the one with real cultures or “mother” as it is often referred to. Take in water before food. 7.) Yogurt: Helps aid digestion, settles stomach, excellent for use with antibiotics or the pill. Make sure you buy an organic, sugar free, natural flavoured with real cultures like Jalna. 8.) Pineapple: contains digestive enzymes including bromelain which helps to aid digestion especially after a rich meal. Tip: the core of the pineapple contains more enzymes than the flesh. 9.) Kefir: A probiotic, sour milk drink excellent for the digestive system, stimulates friendly bacteria in the gut, and helps repair the intestinal cells. Excellent for gastric disturbances, antibiotic use, protection against colon cancer and infection control. Just be mindful to check sugar levels if using store bought. So next time your digestive system needs some love, consider a natural food alternative.